The Bexley City Schools will celebrate its 100th birthday in 2017! To mark the occasion, the BEF has established the Century Giving Club. Participation is easy; by making a recurring monthly gift of $10 (or more) directly from your checking or savings account, you will help create a reliable source of financial support for the Foundation—ensuring Bexley students will continue to benefit from BEF grants and programs. 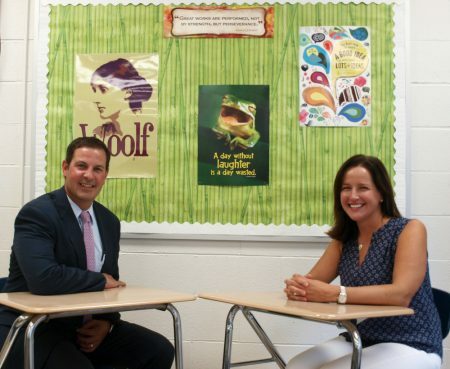 To date, the BEF has channeled nearly $4.8 million in private support from parents, alumni, teachers and community members to programs and projects that fuel the journey of discovery for students through the Bexley City Schools, consistently ranked as one of the nation’s top school districts. We appreciate you, our family of donors and supporters, and hope you will join us in making Bexley’s second century even greater than its first. When you give to the Century Giving Club, click or copy the image below to share with all your friends the impact you’re making in Bexley schools!